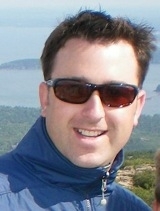 Andy Humphrey started Ecomowers.com in 2006 with the goal of refining the niche “green” market even further. The store sells environmentally friendly lawn mowers and lawn equipment from its headquarters in Traverse City, Mich. Humphrey says the company’s total revenue is “under $1 million,” with sales increasing 8 percent in 2009 over 2008. PeC: What was the inspiration for Ecomowers.com? PeC: Tell our readers about your operational model. Humphrey: “Our staff includes one employee, plus me. We contract out different services including search marketing, optimization, creative design, and developments. It’s tough to find an awesome jack-of-all-trades; it’s better to work with experts in each of those fields. PeC: Do you carry inventory or drop ship your products? PeC: Now on to your website. What shopping cart do you use and why? PeC: How about design and maintenance? Humphrey: “I designed the site and did it with one rule in mind: If a customer has a choice between shopping at Amazon.com and my store, why are they going to choose my store? 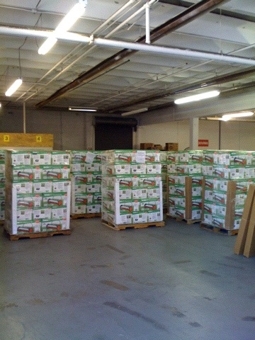 EcoMowers warehouse in Traverse City, Mich.
PeC: What channels of Internet marketing are you using? Humphrey: “We have someone who manages our pay-per-click [PPC] advertising. As the expert in ecomowers, I provide a lot of input as to how trends go. We know when people buy and when to ramp up and cut back. We also monitor our return on investment and make sure we’re staying cash-positive. “Search engine optimization is a long-term strategy that we’re starting to look heavily at now. Since our market is so niche, there is only so much we can do with PPC. Once that’s maxed out, we need organic, free traffic to be strong, too. “We hope that the social networking sites like Twitter spread word of mouth. Twitter is becoming another search engine of sorts and if anyone searches for our keywords on Twitter Search, we want to be seen. PeC: Your website is broken into a blog, a store and a community portal. Tell us how you’ve set that up and why. Humphrey: “Our site is broken into three stages for the customer. “First, we provide them with a learning environment. Our blog has been helpful to educate and provide a knowledge base. A disadvantage I’ve found with having such a slim product line is that we don’t bring in item-based search traffic. That is, people aren’t looking for one item and then buy related items or other products. We lean on our blog to help draw in people who are searching for information. We’ve designed the blog and the site to have a flawless interface. “Second, we provide our store. We want people to take the knowledge they’ve gained and buy the ecomower that is right for them. PeC: Has the economy helped or hurt your business? PeC: Based on your experiences, what are some best practices you would suggest to our readers? Humphrey: “Every business move should be made to be as cash-positive as possible. If you are going to invest in something, like adding a new product line, make sure there will be a quick return. “Don’t buy inventory until you know you can sell it. Even if you have to buy ten of something at retail cost to make sure that people will buy it. The worst thing you could have happen is having 1,000 widgets in your warehouse that nobody will buy and you’ve paid for. PeC: What’s your biggest success to date?